A ton of new promos landed during the big game. In recent years the Super Bowl has attracted as many movie geeks as football fans with the promise of new footage of upcoming summer blockbusters, and this year was no different, with a bumper crop of new promos playing in between the on-field action. 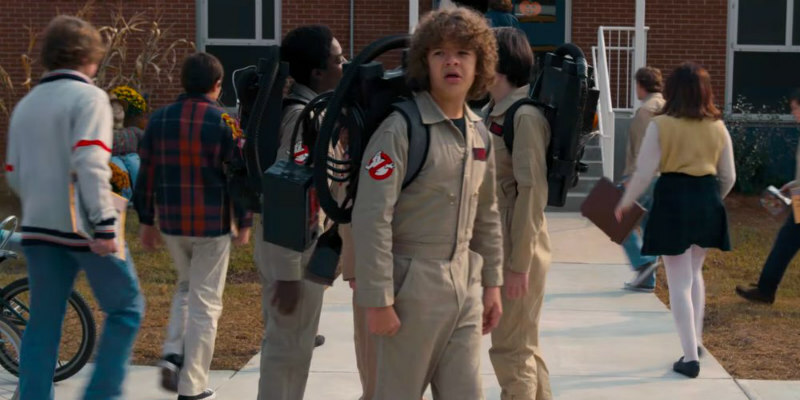 We'll start not with a blockbuster but with the first look at Season Two of Netflix's Stranger Things in a new spot that features footage from a classic 1979 Eggo commercial. Stranger Things Season Two debuts on Netflix this Halloween. We get to see some robot on robot action in a spot for Transformers: The Last Knight, but not much transforming. With a brooding tone, it looks like this is the 'dark' one of the series, but let's not draw any Empire Strikes Back comparisons just yet. Transformers: The Last Knight is in UK/ROI cinemas June 23rd. John Wick: Chapter Two continued its clever marketing with two spots throwing some shade at a certain other franchise. John Wick: Chapter Two is in UK/ROI cinemas February 17th. Gore Verbinski's A Cure for Wellness has us increasingly intrigued with each new piece of footage, and two new spots showed off some impressive imagery. A Cure for Wellness is in UK/ROI cinemas February 24th. A Fleetwood Mac scored promo for Guardians of the Galaxy Vol. 2 introduced us to some new characters along with the old crew. Guardians of the Galaxy Vol. 2 is in UK/ROI cinemas April 28th. It was Johnny Cash who provided the backing for a new Pirates of the Caribbean: Salazar's Revenge spot. Pirates of the Caribbean: Salazar's Revenge is in UK/ROI cinemas May 26th. Logan 'graced' us with a short spot backed by a moody rendition of a famous spiritual. Logan is in UK/ROI cinemas March 3rd. Vin Diesel turned villain in a new Fast & Furious 8 (or The Fate of the Furious as its known in the US) promo. No sign of Helen Mirren though. Fast & Furious 8 is in UK/ROI cinemas April 14th. What's more American than the Super Bowl? Baywatch! A cleavage and abs heavy new spot aired, with Zac Efron showing off some patriotic undies. Baywatch is in UK/ROI cinemas June 2nd. Charlie Day and Ice Cube faced off in a new Fist Fight spot. Fist Fight is in UK/ROI cinemas March 3rd. The all-star sci-fi thriller Life dropped a short promo. This one has us very interested. Life is in UK/ROI cinemas March 24th. More sci-fi in a brief look at Scarlett Johansson in the Hollywood remake of Ghost in the Shell, the cult Japanese anime. Ghost in the Shell is in UK/ROI cinemas March 31st. We began with Netflix and we finish with their rival streaming service Hulu, who dropped a promo for The Handmaid's Tale, their upcoming Elizabeth Moss headlined adaptation of the Margaret Atwood novel. The Handmaid's Tale debuts on Hulu April 26th. So there you have it, another promo packed Super Bowl. Oh, and the New England Patriots beat the Atlanta Falcons.